Did you just hear horns blasting, fire hoses firing, and the sound of a mariachi band? That was the sound of the 25th Baja Ha-Ha headed out of San Diego Bay and making a left turn for the border. This crew was lookin’ good . . .
. . . And a little cheeky. This morning saw sunny skies for the silver-anniversary sendoff. 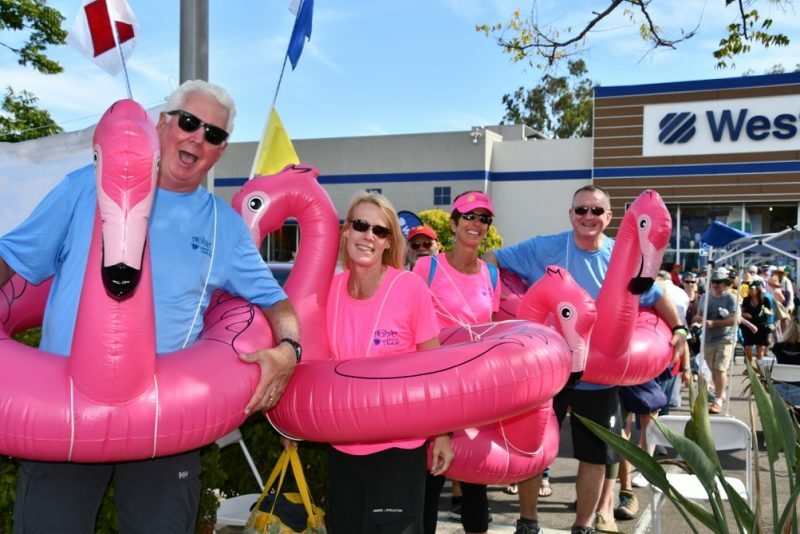 And let’s not forget about the previous day’s costume party at the San Diego West Marine. And let’s not forget about the mariachi band that plays the fleet out of the bay. An eerie Halloween mist crept into SF Bay early over the weekend. Three Legends Walk Onto a Boat . . .
A serious boat is going to naturally attract some serious talent and experience. Case in point: Flash back to two weeks ago, when Ron Holland and Commodore Tompkins were hosted by Alan Olson aboard the Matthew Turner. 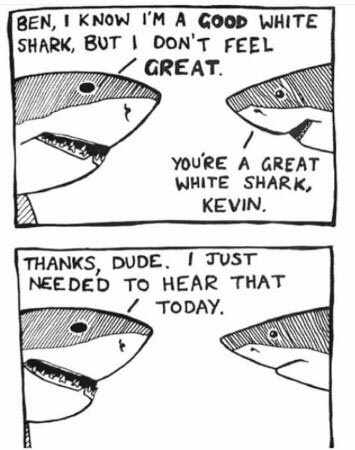 We would’ve loved to be a fly on the wall for this one. 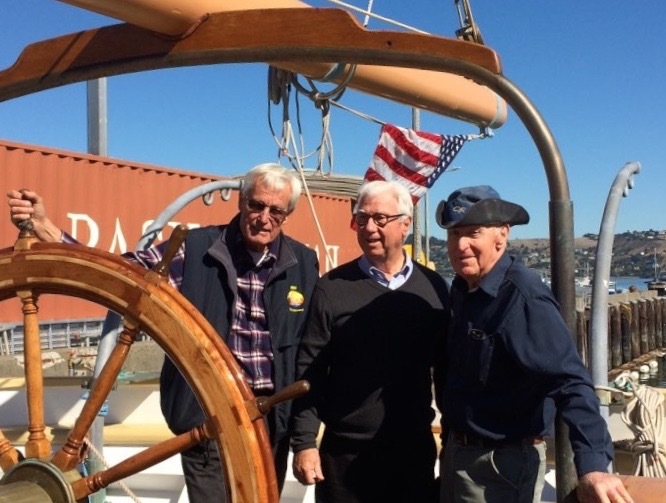 From left: Alan Olson, Ron Holland and Commodore Warwick Tompkins at the helm of the Matthew Turner in mid-October. Giovanni Soldini and his MOD70 Maserati were just awarded three prizes at the 39th Rolex Middle Sea Race: Multihull Line Honors, or the first multihull to finish the regatta, the Captain Morgan & MOCRA Trophy for the first multihull on corrected time, and the MTS Trophy for the first non-Maltese boat to cross the finish line. 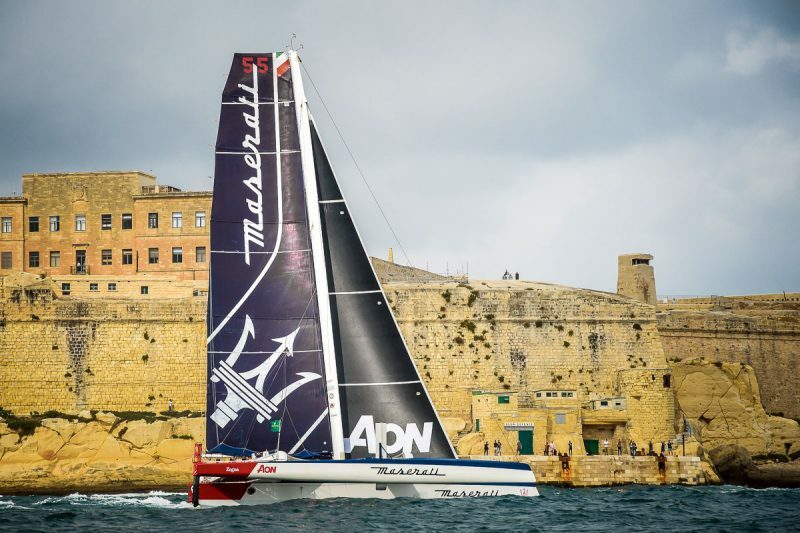 Maserati completed the 606-mile Maltese regatta in 2 days, 11 hours, 54 minutes and 58 seconds, finishing one week ago today. PowerPlay, [Maserati’s] direct rival, took second place. The mighty Maserati makes for Malta. 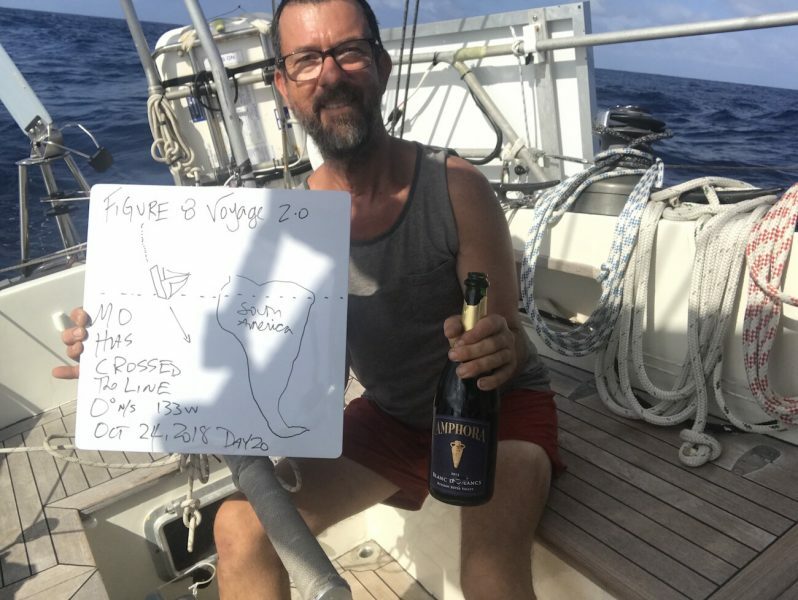 On Friday, we reported that Randall Reeves was near the equator and expected to cross soon. Lo and behold, he did! “I’ve only been across [the equator] four, now five, times. I don’t yet even qualify for a tattoo,” wrote Randall Reeves. “It happened while I wasn’t looking. Somewhere around 3 p.m. While my head was in a forward locker and Monte hummed softly at the tiller, Mo charged on across the equator, across the line, and didn’t tell a soul. “Señor, that we are successful at crossing the street on the way to the market is no reason to open champagne. We will cross many streets,” said “Monte,” Reeves’ wind vane. 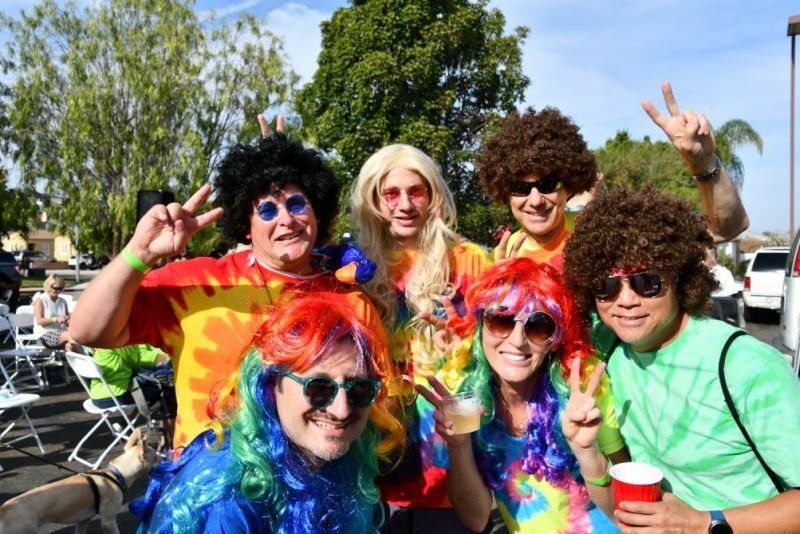 There’s a whole lot of racing going on at Richmond Yacht Club’s Great Pumpkin on the last weekend in October, but it’s also one of the busiest regattas we can think of in terms of extracurricular fun. One of the challenges is the sailing trivia quiz, written by Bay Area racing whiz Gordie Nash. The team aboard Wayne and Susie Koide’s Sydney 36 CR Encore won this year’s quiz, missing only one correct answer. How does your trivia knowledge stack up against theirs? Here’s your chance to put your skills to the test. A text-scanned version of the quiz follows; the text has not been edited, but we must point out that the first Golden Globe Race was in 1968, not 1978. We’ll have more on the Great Pumpkin in Wednesday’s ‘Lectronic Latitude, and we’ll post the quiz answers on Friday. A DVD of the movie Wind was the prize for winning the trivia quiz yesterday afternoon. Our Nautical Quiz is intended to entertain, inform and educate. We hope you will enjoy the thinking process. All the answers are available on the internet but what is the fun in finding the answers that way? It has been 250 years since Captain Cook sailed from England, 50 years since the first singlehanded, around the world, nonstop, unsupported sailing race, the “Golden Globe” in 1978 . 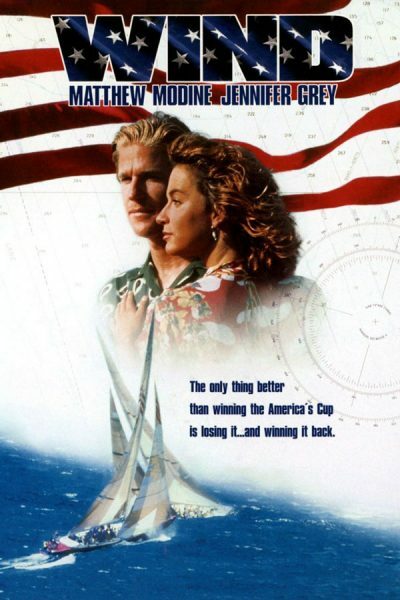 This iconic British idea started the around the world ocean races, including the BOC, now the French Vendee Globe, Whitbread, now the Volvo Race, it has been 25 years since the movie “Wind” and this year saw the fourth race to Alaska. The British “Golden Globe Race” started it all. Originally, 8 boats started with only one finisher. First and only sailor to make it home was Robin Knox Johnston and this race set in motion the strange last voyage of Donald Crowhurst. For the 2018 GGR the rules specify that the boats raced must have been designed before 1978, must be full keel with rudders attached, of heavy displacement and the use of GPS, modern electronics, electric pilots and other modern stuff is strictly forbidden. Today, after 120 days at sea they are still out there, racing. This 2018 British race could not be started in Plymouth or Portsmouth, England but was welcomed by the French port of Les Sables d’Olonne. Why was the July 1, 2018 race start switched to France? B. Plymouth was not interested in hosting. C. The race village and infrastructure is already in France. The Volvo Ocean Race entry “Brunel”, representing the Netherlands, and the British Industrial Revolution have something in common. In 1803, Marc Isambard Brunel patented 6, multi-task, metal machines, powered by the new steam engine, that could cut, shape, chamber and drill so precisely that any and all parts produced could be interchangeable. By 1808, 10 workers could build over 100,000 of these marine items per year laying off 100 journeymen. Over 1000 of these items were required for each ship built in that era. These machines were in use until 1965 and now are in the Maritime Museum. Marc Brunel went on to work with his son to build the first tunnel under the Thames River. Jan Brand, in 1975, chose to name his new engineering and construction company Brunel to recognize the contribution made by Marc Brunel. What marine item did these British machines make? In the first leg of the 2017-2018 Volvo Ocean Race, the winning skipper of “Vestas-11th Hour Racing”, was Charlie Enright. Charlie is from Rhode Island, USA, a junior sailing program graduate of Bristol Yacht Club and 4 time All American Collage skipper for Brown University. His first ocean racing coach was Northern California’s Stan Honey. His first Volvo Race boat CFO and his team CFO on “Vestas” was Richmond Yacht Club’s Billie Erklens. What was Charlie’s first major ocean race and on what boat? In 2015 the first winner of the race to Alaska, “R2AK”, Al Hughes returned the $10,000 first place prize money, as seed money, to make sure the race would be run again in 2016. In 2018 the womens’ team, “First Federal Sail Like A Girl”, sailing a Melges 32′ won the $10,000 prize money. 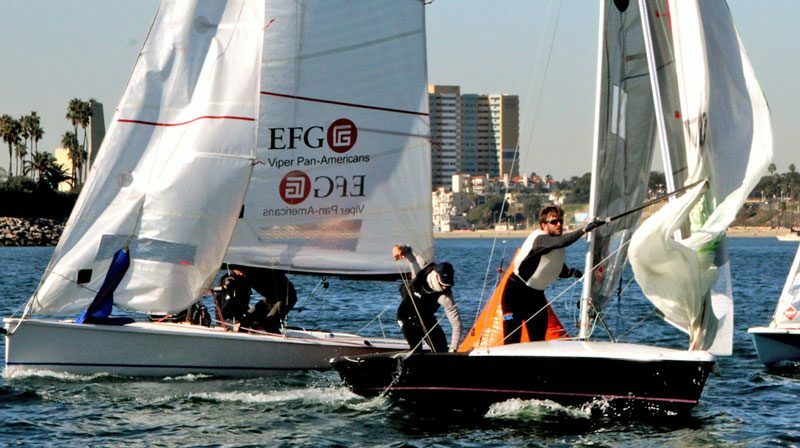 Piedmont resident and the only California team to enter this year, Laurence Olsen, sailing an Olsen 30′, finished twelfth. What did the women do with the prize money‘? A. Stayed with tradition and returned the $10,000. B. Shared the prize with their sponsor First Federal. This British Admiral has been credited with the expression “Cast-a-Blind-Eye” for “willfully ignoring undesirable information”. During the Napoleonic Wars he was wounded 4 times – including the loss of one eye. When handed a single eye spyglass, to observe distant flags that were to signal orders he did not want to follow, he raised the lens to his bad eye and proclaimed the flags were not visible. He went on with the battle and established England as the superior naval power. The Race to Alaska, “R2AK” starts in Port Townsend, on the North-East corner of the Olympic Peninsula of Washington State. In the late 1800’s Port Townsend was a “boom-town” with many beautiful Victorian houses and businesses built along the waterfront. By 1906 it was almost a ghost-town. Recently these big homes and beautiful downtown area has been re-discovered by artists, craftsmen and wood boat enthusiasts. San Francisco Bay’s Single Handed Sailor, Rob MacFarland III’s his Grandfather Robert tried to save the town but the company he was chairman of went out of business. What was the reason for Port Townsend’s decline? When the $10,000 prize is given to the winner of the R2AK, it is presented to the winner in what form? The movie “Wind” was released in 1992, 25 years ago. A few local Richmond Yacht Club sailors worked on the ﬁlm and provided a boat and equipment. Lisa Blackaller, daughter of Tom Blackaller, was a sailing actor and San Francisco’s Kimball Livingston was a writer. Kimball was credited with the idea of showing a dinghy as a training boat before the racing action of the big 12 meters were shown on screen. This was roughly the story of Dennis Connor losing and regaining the Americas Cup. This training dinghy, originating in Britain, had their class rules standardized between Europe and Australia in the 1990’s making it possible for big fleets to grow all over the world. 2018 saw over 60 boats racing this year in their World Championships. What dinghy class is this? In 1776 Captain Cook selected this British Naval Captain to be his “master” or ‘second in command’ of HMS “Resolution”. After Cook’s death, he became Captain of the ship and returned this ship to England. In 1787 he was given another ship and assignment. After losing this ship in 1789, he was acquitted by a court-martial in 1790. In 1801 he saw action against the French in Copenhagen. In 1805 he was reprimanded by the Admiralty. The Admiralty did not want to give him another ship so, in 1806 they appointed him Colonial Governor of New South Wales, Australia where he was detained by the rebels of the 1807 Rum Rebellion. He returned to England, made an admiral, and retired. Robin Knox Johnston was the only finisher of the 1978  Golden Globe Race sailing his wood boat “Suhaili”. This Colin Archer styled Norwegian North Sea double-ender was a built in 1968, in India to the plans drawn by William Atkins named “Eric”. Adhilash Tomy of India reproduced this original design in wood, started the 2018 GGR and was rescued from the middle of the Indian Ocean after being rolled, dismasted and injured. This 20,000 pound design was qualified/proven as a superb “Ocean Racer”. This boat was re-designed by William Crealock, reproduced in fiberglass with a modern standard cabin, and it went on to make an impact in the world of ocean sailing yachts. What boat did this design become? Don’t be afraid, but here comes ‘winter. Not the actual calendar season — the winter solstice is still 53 days away — but the midwinter racing season. A variety of midwinter series begin in November. These are (mostly) listed in chronological order, and you’ll notice that the first Saturday of the month is by far the most popular date. Encinal YC’s Jack Frost Midwinters, with racing on the Central Bay. Golden Gate YC’s Manuel Fagundes Seaweed Soup Regatta, with racing on the San Francisco Cityfront. Sequoia YC in Redwood City offers the Winter Series, beginning on November 3, and the Redwood Cup pursuit race series starting on November 17. Monterey Peninsula YC’s Perry Cup for Mercurys will kick off with a full weekend on November 3-4. Sausalito YC’s Chili Midwinter Series will begin on Sunday, November 4. SYC also lends a hand to the RegattaPRO Winter One-Design Invitational, which will begin on November 10. Vallejo YC’s Tiny Robbins Midwinter Series mostly runs on the first Saturday of each month, but the first one will be on November 10. 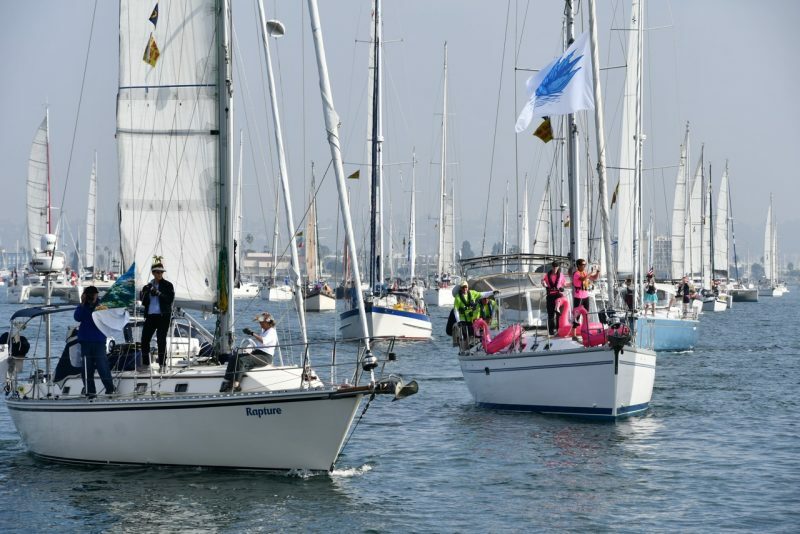 Berkeley YC has racing from October through March, every Sunday with their Chowder Series. Plus, their Midwinters, with separate series on Saturday and Sunday, start on the weekend of November 10-11. Island YC’s Island Days on the Alameda Estuary will start on November 11. Santa Cruz YC’s Midwinter Series will start on November 17. 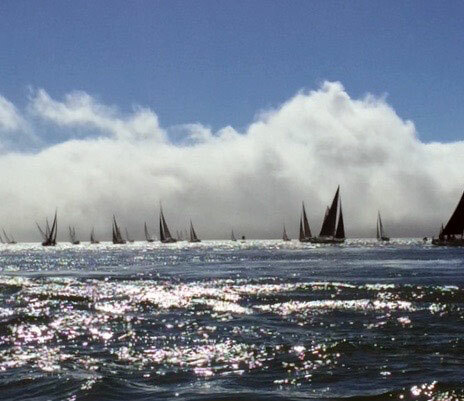 South Beach YC in San Francisco runs Island Fever, with the first race on November 17. A raucous start in the Express 27 division in last year’s Berkeley Midwinters. Although midwinter series continue for the next few months, ‘turkey’ races are a November-only phenomenon. The first ‘turkey’ on our list is Lake Washington Sailing Club’s Turkey Shoot Regatta on Saturday, November 3. Thistles, Banshees, Megabytes, Daysailers, FJs, Lasers, Sunfish, El Toros, windsurfers, Lido 14s and open-class boats will battle for the big prizes: turkeys. LWSC is located at the turning basin for the Port of West Sacramento. On November 17, a Turkey Race on Clear Lake will finish out Konocti Bay Sailing Club’s 2018 racing season. Alamitos Bay YC in Long Beach will host a weekend-long Turkey Day Regatta on November 17-18. Trailer-sailors welcome! Tiburon YC’s Wild Turkey Race offers a Black Friday alternative on November 23. Note: the prizes are not turkeys, but another consumable product. TYC is on the east side of Tiburon in Paradise Cay, and racing is held on the North Bay. Viper action at the Turkey Day Regatta in sun-drenched Long Beach. For many more regattas, some of which don’t even fall into the ‘Midwinters’ or ‘Turkeys’ categories, check our Calendar in the November issue of Latitude 38, coming out this Thursday. Here are a few news nuggets for your Friday: Coastal Mexico Escapes the Worst from Hurricane Willa Despite its strength and ominous portents, Hurricane Willa seems to have spared Mazatlan and Puerto Vallarta. 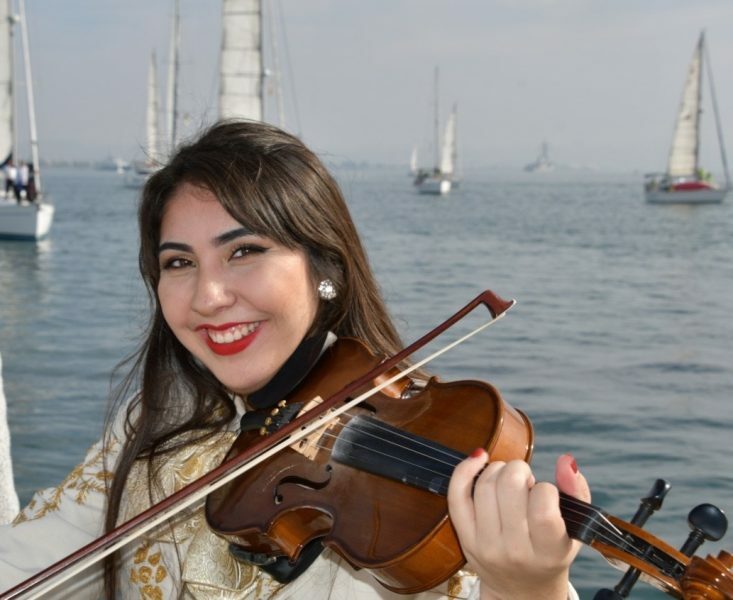 Frances Larose reports: On Saturday, October 20, the seventh annual Red Bra Regatta — sponsored for the first time by the Taiwan Tourism Bureau — was a celebration of women’s sailing on San Francisco Bay. The City of Oakland is soliciting public comment for their plans to expand and renovate Estuary Park, a lobe of landfill that juts out into the Oakland-Alameda Estuary east of Jack London Square. 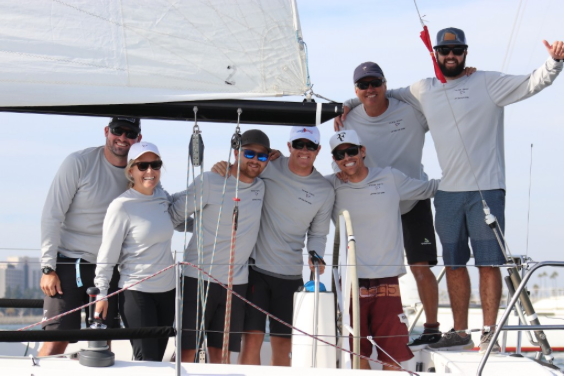 On Monday, the almost 170 boats signed up for the 2018 Baja Ha-Ha fleet will officially kick off the Mexico cruising season as they gather off Shelter Island for start of the 25th annual Baja Ha-Ha.